Ships tomorrow if you order in the next 21 hours 30 minutes. Do you know what your brain needs to stay in top shape? You need good circulation so that blood is being delivered to your brain, you need antioxidant activity to protect it from potential oxidative damage, and you need to encourage healthy neurotransmitter production and activity. 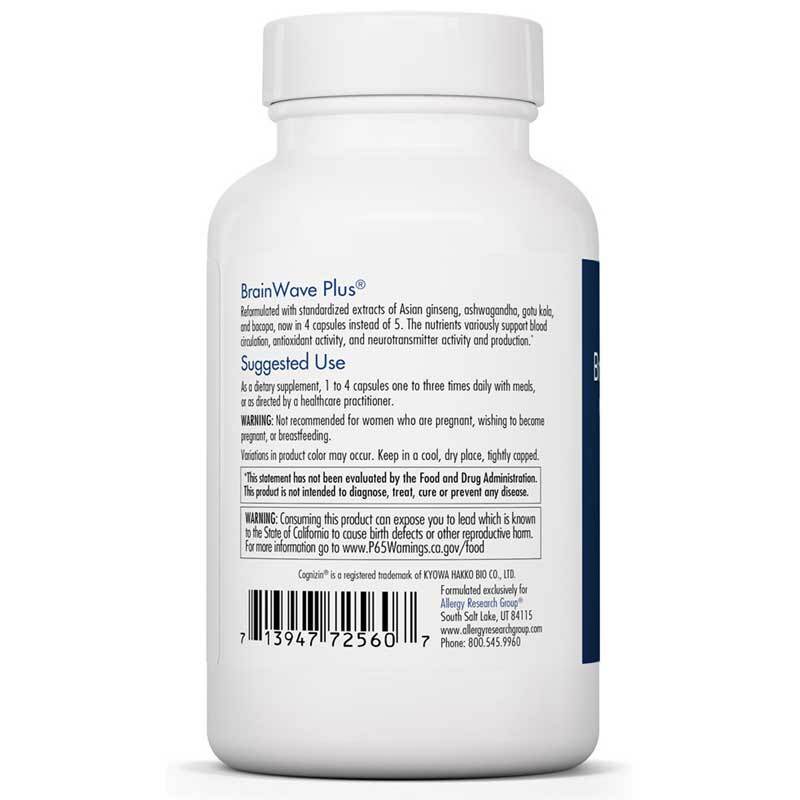 BrainWave Plus from Allergy Research Group is a natural supplement providing nutrients that support all of the aspects of brain health mentioned above. Plus many other beneficial ingredients! 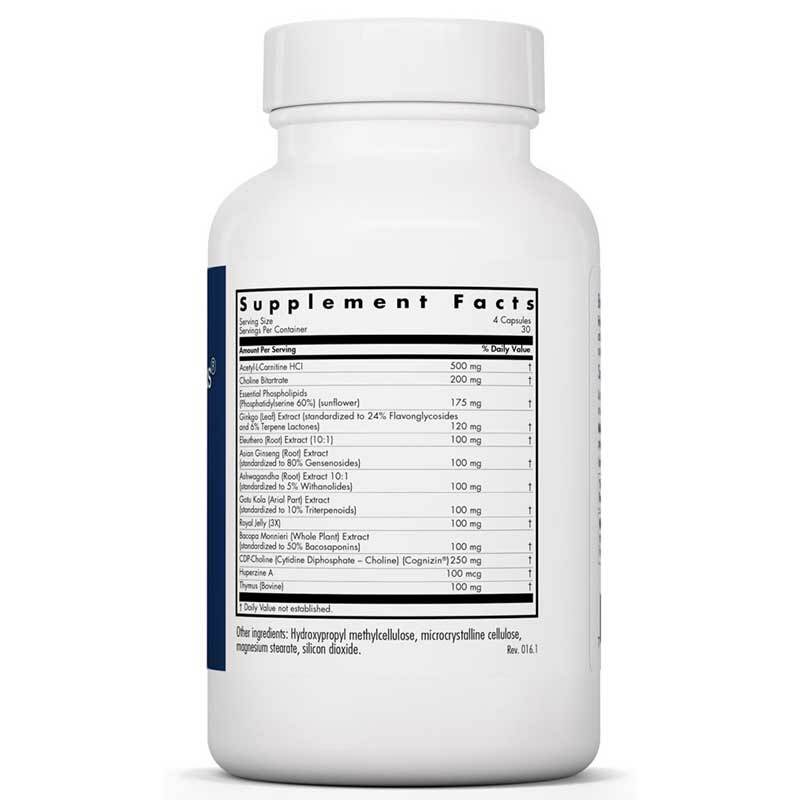 All of the nutrients in this brain health supplement are of the highest quality and purity. They contain no preservatives, diluents, or artificial additives. 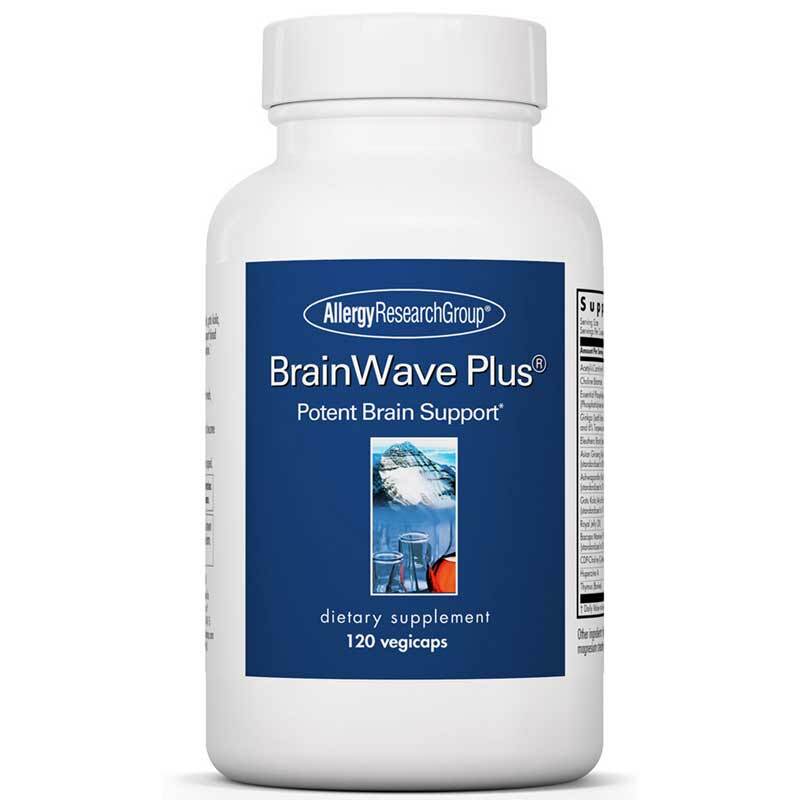 If you or someone close to you could use some help keeping their mind working the way it should, discover what the nourishing natural components of BrainWave from Allergy Research can do. Adults: As a dietary supplement, 1 to 5 capsules one to three times daily with meals, or as directed by a healthcare practitioner.